by Eyal Kalderon, Simon Rönnberg, Thomas Schaller, mechaxl, Zakarum, Jacob Kiesel and over 100 contributors. Co-owned by amethyst. Amethyst is a data-driven and data-oriented game engine aiming to be fast and as configurable as possible. These principles are what make Amethyst unique and competitive in the world of game engines. Powered by a correct Entity Component System model. Rapid prototyping with RON files for prefabs and an abstract scripting API. Strong focus on encouraging reusability and clean interfaces. Amethyst is based over a very powerful parallel ECS called Specs. This allows games built with Amethyst to maximize the processing power usage to make it run as smooth and as fast as possible, without the headache of multithread programming. By design, the amethyst engine encourages you to write clean and reusable code for your behaviours and data structures, allowing engine users to easily share useful components, thus reducing development time and cost. Using the ECS architecture, the code of games can be cleanly divided between data and behaviour, making it easy to understand what is going on, even if the game is running on a massive 64 cores processor. While we may not be feature-packed (yet! ), we all strongly believe that the community-oriented side of amethyst will thrive as we move forward! 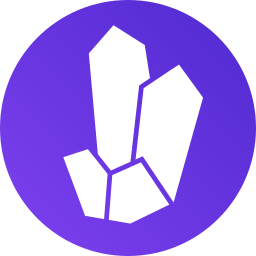 Please visit the features page for a list of features Amethyst provides. While the engine can be hard to use at times, we made a lot of documentation that will teach you everything you need to use Amethyst comfortably! If you don't understand a part of the documentation, please let us know. Join us on Discord or open an issue, we are always happy to help! All available examples are listed under examples. Our most advanced example is currently called pong. It is a pong game, as you may have guessed it. There are quite a few prototype games that were made with Amethyst. A list will be available soon. While we create this list, feel free to join our discord and ask about which projects are currently being made with Amethyst. For a full-blown "Hello World" tutorial check out the Getting Started chapter in the book. If you are compiling on Linux make sure to install the dependencies below. Additionally, make sure you have EGL installed. Since the package depends on your drivers, we cannot list it here. See your distribution specific installation process for the equivalent dependencies. Please note that you need to have a functionnal graphics driver installed. If you get a panic about the renderer unable to create the context when trying to run an example, faulty driver installation can be the issue. and go to http://localhost:3000. For more information, see the mdBook project. The API reference can be found in target/doc/amethyst/index.html. We do not support anything other than the most recent Rust stable release. Use nightly and beta channels with this project at your own risk. Please check out the FAQ before asking. If you have a question, feel free to ask on our Discord server and we'll help you. Other places you may want to check out are r/rust_gamedev and #rust-gamedev IRC. If you're interested in helping out, please read the contribution guidelines file before getting started. If for some reason we don't have any open PR or good first issues (that would be a good thing), you can look through the issue tracker. Amethyst is free and open source software distributed under the terms of both the MIT License and the Apache License 2.0.